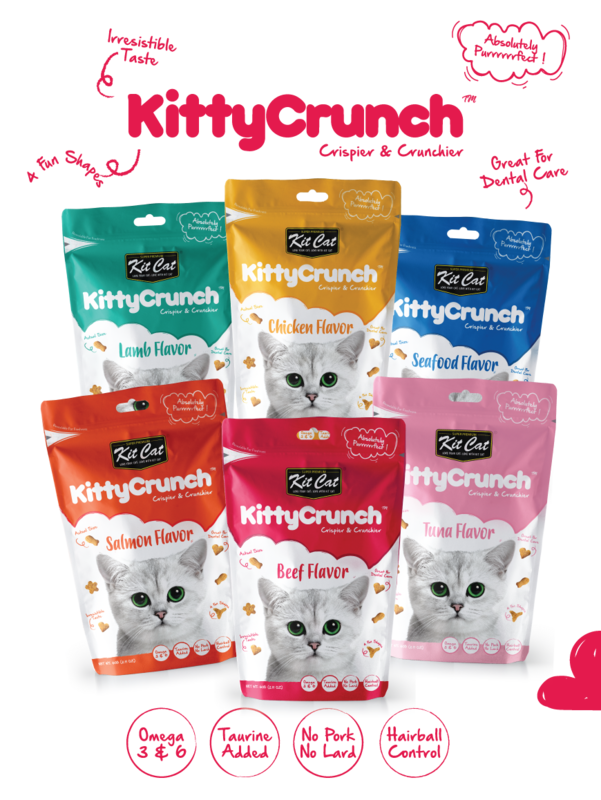 Kit Cat KittyCrunch cat treats are created with the goodness of carefully selected ingredients and produced to perfection for cats. With a range of 6 tasty flavors and 4 fun shapes, these irresistible crunchy bites are not only delicious, but help clean teeth too! delicious and 100% natural – this is the most irresistible and ideal treat your cat will crave. adjusted according to your cat’s size, weight, age and activity level. Kit Cat PurrPuree cat treats are intended for intermittent or supplemental feeding only.